Hold your cards in style with this wallet in your pocket or purse. 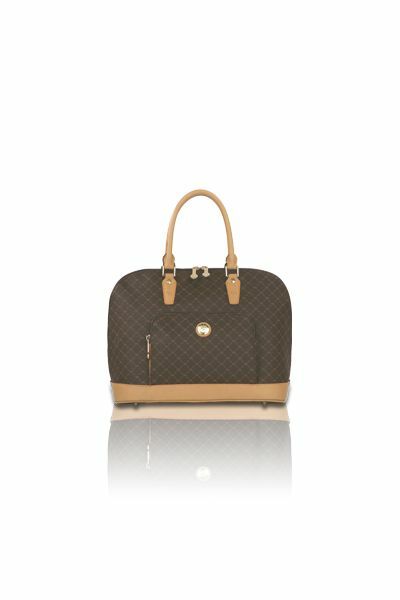 The design is a gentle dark gold ''RR'' RIONI monogram print against a solid brown colored designer canvas body. Half fold opens with a swivel to an all smooth brown leather interior with the insignia of ''RIONI Moda Italia Genuine Leather''. On the left side is a sleeve that contains three slots for your credit cards and on the right contains an removable slot for your identification all in stunning brown fabric lining. 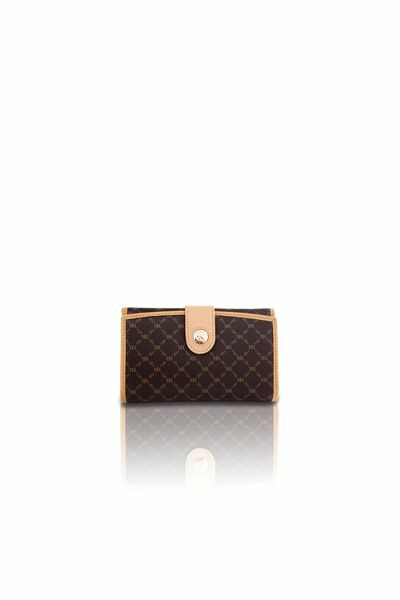 Product: Swivel Card Wallet was added to cart.